Are you thinking about making a home investment to increase its value and enhance your time spent in it? Forget about that expensive home cinema system or that flashy patio in your garden – an AC will pay itself over more times than you can imagine. Air conditioning tends to be one of those things: only after you get it do you realize how much it improves your quality of life. So why don't you have one already? There could be various reasons: maybe the housing doesn't feature HVAC, maybe you always found it too expensive, or maybe you just didn't wanna deal with unpleasant contractors – we can solve all of those problems for you! Every first-time AC system we install is placed seamlessly so that it doesn't deviate from the structure one bit. Not only that, but we also try to find a unit that will fit your interior whenever possible. Our deals are pretty great too – if you're getting both the AC and the installation from us, we can promise you'll be treated to a sweet deal that you'll have trouble finding anywhere else. Not to mention, every AC we sell is manufactured to the highest standards so that we can always enjoy complete customer satisfaction. But of course, you can't have a proper AC installation in Boerne, TX without the right contractors for the job. Hey, we get it – having strangers come to your home and drill around is hardly anyone's idea of a good time, and things get that much worse when the contractors in question aren't the best. Bad practices, lackluster equipment and the lack of a license are just some of the reasons why people are wary of AC contractors. Fortunately, as is the case in every field, there are still a couple of good businesses around. By having Boerne Air Conditioning Experts install your home ventilation, you'll be given the royal treatment from start to finish. Everything we do is a carefully laid-out procedure, and in the case of new installations, we might spend a considerable amount of time just to find the optimal spot both for aesthetics and air circulation. 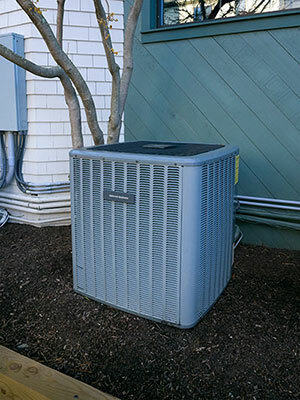 As straightforward as an air conditioning installation might seem, there are technical issues that only an experienced contractor will be able to deal with. Compromised wall integrity, for example, might make AC installation much more difficult and could turn some contractors away from the job. Not us: we're confident in our ability to perform a successful installation no matter the angles and heights we're working on, and our results speak for themselves. 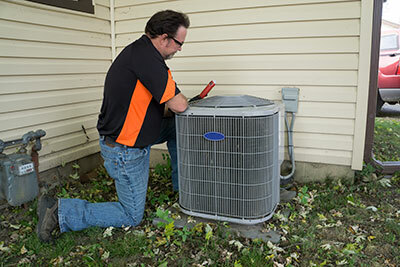 It's perfectly fine to hesitate getting your first HVAC if you've never had one. That's why our technicians will be happy to help you plan everything out so you know what you're signing up for. We'll check the structure's design to find the optimal AC placement, work over your previous utility bills and help you plan out future ones and more – anything you need to make the first step towards a home that has perfect temperature year-round.